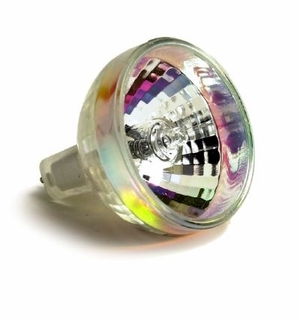 Description: EXR Ushio ANSI Coded Light Bulb: This lamp is an 82 volt, 300 watt halogen light bulb. It is an MR13 with a diameter of 1.6 inches and a GX5.3 base. It has a Kelvin temperature of 3350 and is rated at 50 life hours. 1 - 19 $8.80 ea. 20+ $8.25 ea.